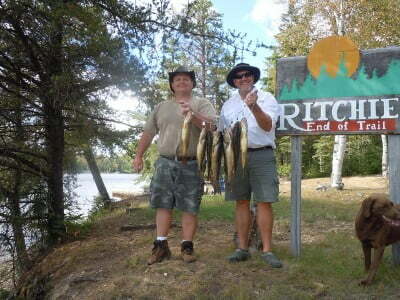 Ritchie’s End of Trail Lodge offers Northern Ontario fishing trip packages to fit your vacation needs! Whether you’re planning a family vacation, a corporate retreat, or a solitary weekend away, we have the package designed for you. We can offer you everything in our full plan package, you will only need to bring your fishing gear. We have packages with food or without. We also cater to those groups with their own boats. We cater to you and your needs. If you have special requests we will do our best to meet those needs. Please click on the links below to view the fishing package that best suits your needs. Cheques are accepted ONLY for deposit. On receipt of the deposit, we will mail you a Confirmation Form detailing the balance owing including all taxes. The balance owing must be paid by cash or travelers’ checks. We accept payment in both Canadian and US funds. We give a fair exchange on US transactions. Contact us today if you have questions, or would like to book your package! 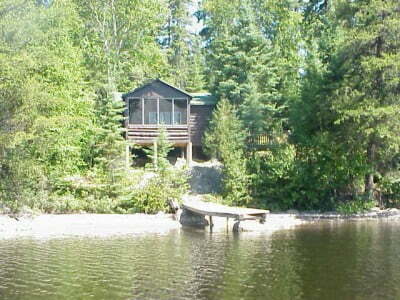 Stay at End of Trail for a week and all you will need is yourself, personal gear, and fishing equipment. We will supply everything you need to relax and concentrate on having fun! With the Full Plan we supply all the food. Unlike regular American plans that cook your meals for you, at End of Trail you have the flexibility to cook your own meals at your convenience. That means eating what you want when you want. No regimented schedule to adhere to. 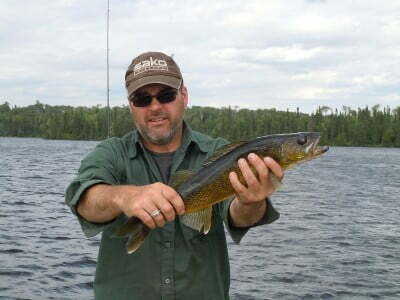 During your stay, if the fish are biting at 5 pm and you want to stay on the lake and keep fishing – then do it! The food supplied is extensive and is all top quality. A list below details what is supplied. The cabins will be fully stocked on arrival and 24 hr. access to our food shed means you will never run out of anything. Of course all this you can prepare in your own cabin which comes equipped with gas stove and oven, all cooking utensils and outside a gas BBQ. All vegetables are canned except for potatoes & onions which are fresh. Stay at End of Trail for a week and all you will need is yourself, personal gear, fishing equipment and your favourite food and beverages. We will supply everything else you need to relax and concentrate on fishing! With the House Keeping Plan we supply everything except the food. Unlike regular American plans that cook your meals for you, with the house keeping package you have the flexibility to supply your favourite foods and cook your own meals at your convenience. That means eating what you want when you want. No regimented schedule to adhere to. 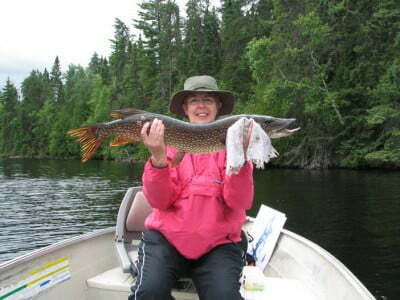 During your stay, if the fish are biting at 5 pm and you want to stay on the lake and keep fishing – then do it! Of course all this you can prepare in your own cabin which comes equipped with propane stove and oven, all cooking utensils and outside a propane BBQ. While your are out catching the big ones, we will come and complete the house keeping, leaving more time for you to stay out on the lake! The House Keeping Package allows you more time to relax and enjoy yourself! You create the fishing vacation you desire, the way you want it. The Economy Plan allows you to bring with you what you want for your fishing vacation. 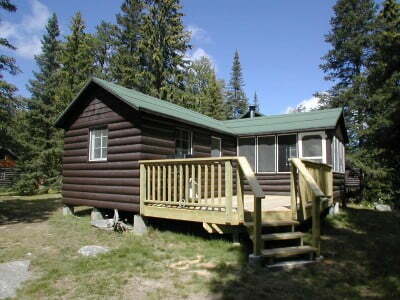 All that will be supplied for you is the cabin and propane gas to use the appliances at the cabin. 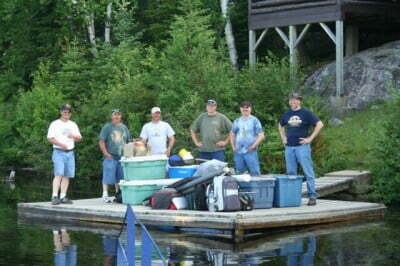 You will have to bring with you all the necessities that you need to have your fishing vacation as you desire. This means that you will have to supply the food, boat, bait, and gas. Food, bait and gas for your boat may be purchased at Ritchie’s End of Trail yet costs will reflect current Canadian market prices.